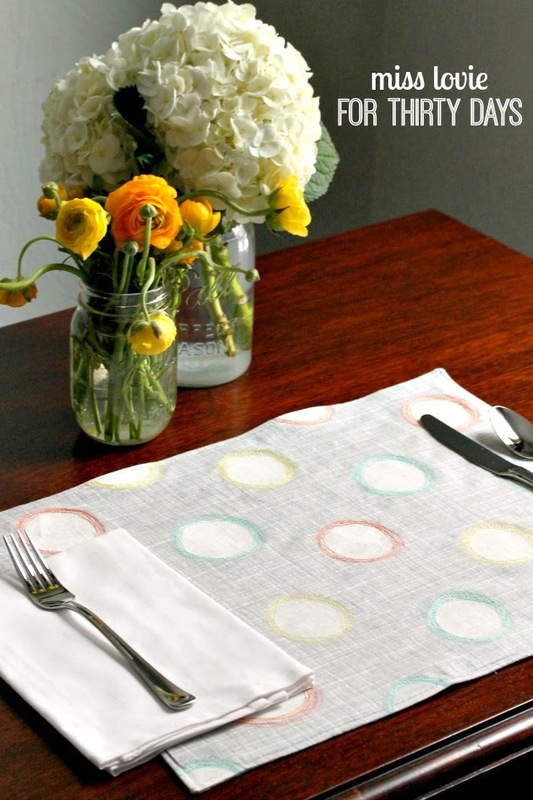 Today I'm over at Thirty Handmade Days with this super fun tutorial, Spring Sketchy Dot Placemats! I definitely may have just taken down the Christmas placemats before putting these on the table so (in March) it was high time for a change - a bright and happy spring-y change! Go check out the full tutorial and more pictures at 30Days! I'd love to hear what you think! 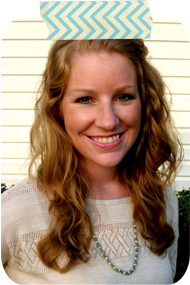 So I just realized today that I never shared this super fun news with you! I am still contributing for Mique at Thirty Handmade Days, but I am no longer just a jewelry contributor there (which means I'll be sharing more jewelry here! ), I'm a "craft" contributor. The word "craft" can mean pretty much anything so I'm excited to share lots of different types of projects over on 30days! 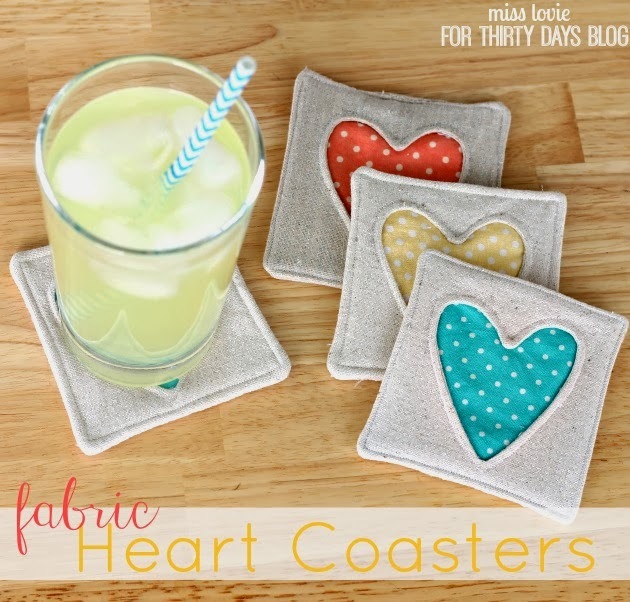 In February, I shared some Fabric Heart Coasters. I wanted to be sure and fill you in on them since they're so easy and sweet and would add the perfect soft touche of color to your own home or would make great gifts. 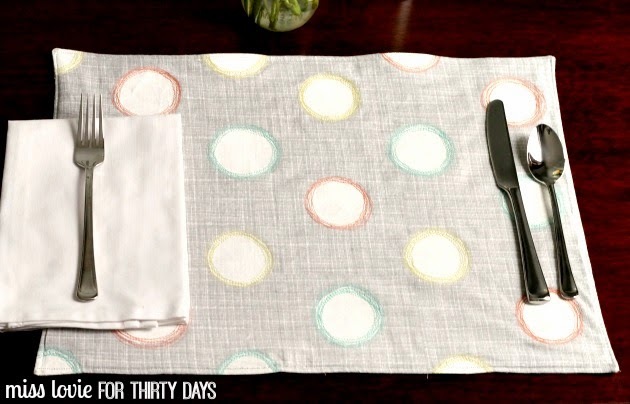 You should definitely head over to 30Days and check out the full tutorial. 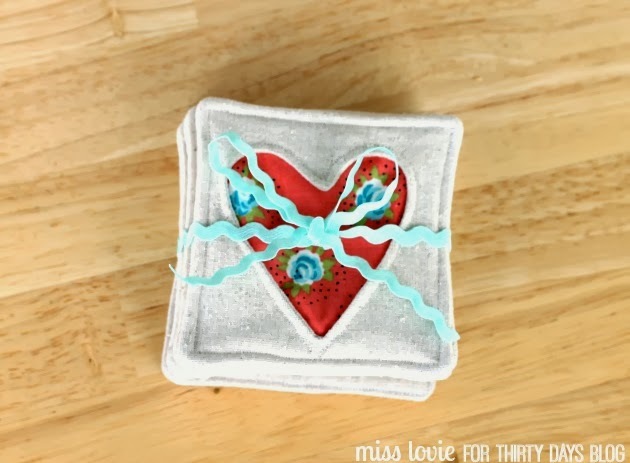 While I made them for Valentine's Day, hearts are great for any time of the year in my opinion and you can make them in some fun spring-y colors. 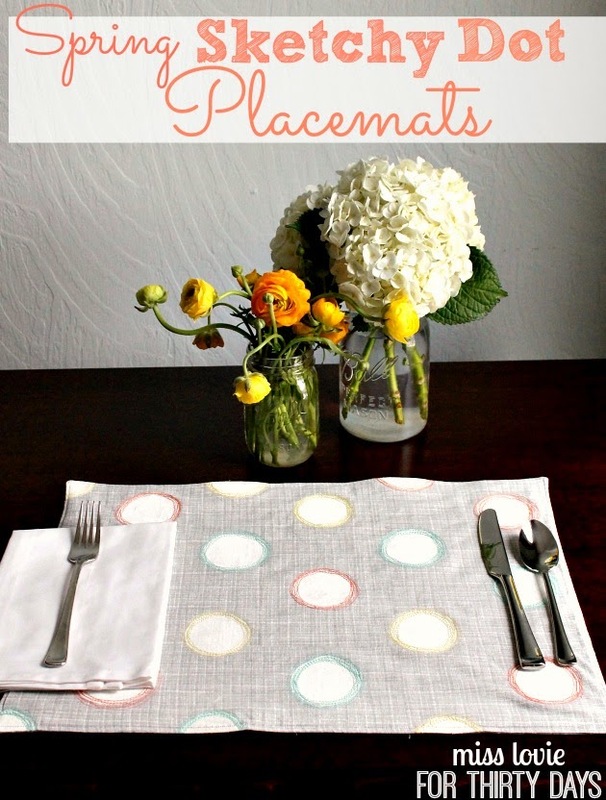 They are a fabulous scrap-busting project, too. Go check them out and be on the look out for my next contributor post, too. 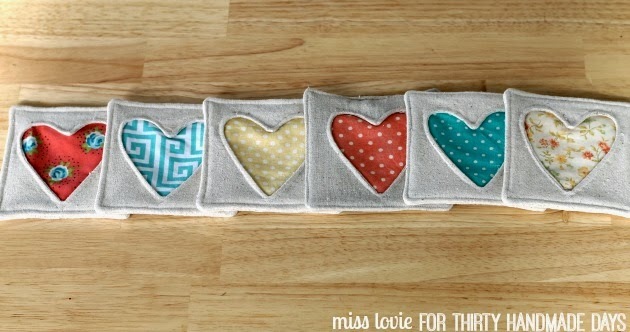 Hint: it'll be another great spring sewing project! Today I'm excited to share with you my newest obsession: Gree Smoothie Awesomeness. 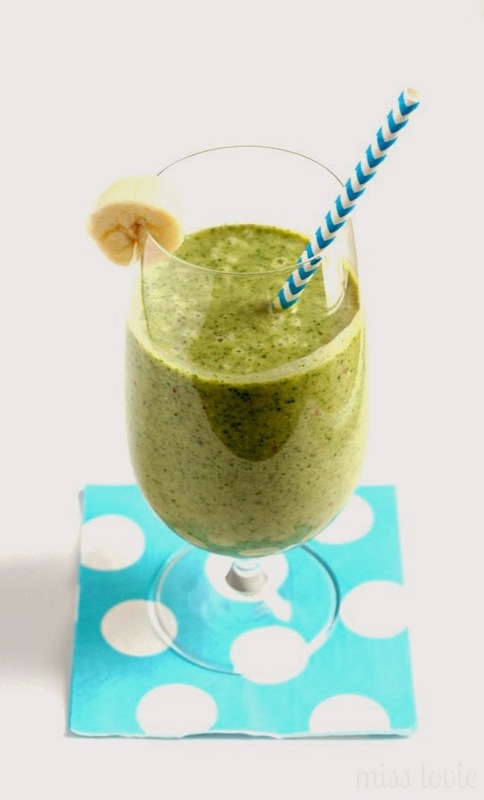 Today I'll be sharing my recipe for my Apple Banana and PB Green Smoothie! 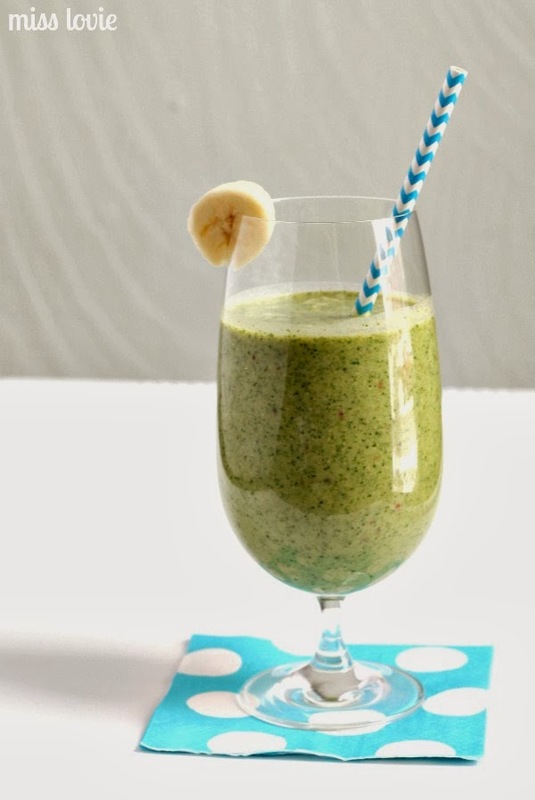 Seriously, if you haven't hopped on the green smoothie bandwagon, you totally should. These are so good. Have trouble getting your veggies in? Don't eat enough fruit? Looking for an easy and healthy on-the-go lunch or breakfast? Want something that is both delicious and filling? You have found it in the green smoothie. I've heard of lots of people using this as a meal replacement, but it could also make a great afternoon healthy snack as well! And guess what! They don't taste "green" at all! Especially not my recipe. It's pretty delicious actually. And if you've never tried a green smoothie, this is the perfect "Beginner Green Smoothie" recipe. After trying a few really great recipes from Simple Green Smoothies and loving them I decided to try out their easy Green Smoothie Formula and create my own recipe. And, it turned out great! 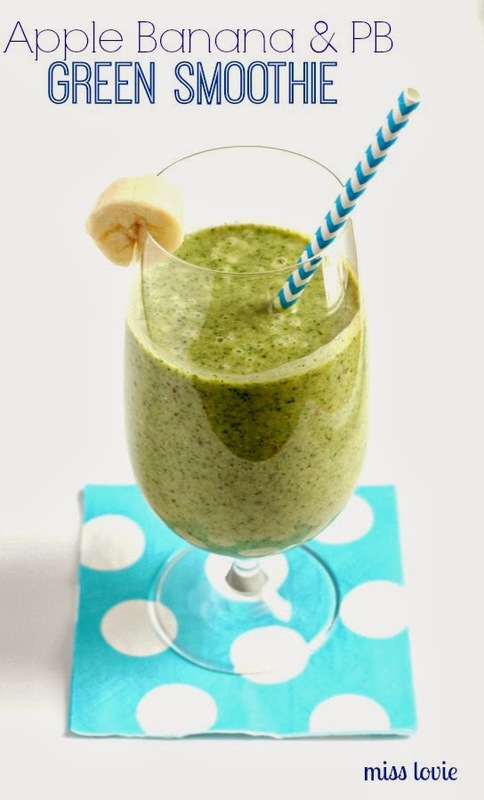 It is definitely one of my most favorite green smoothie recipes I've made! 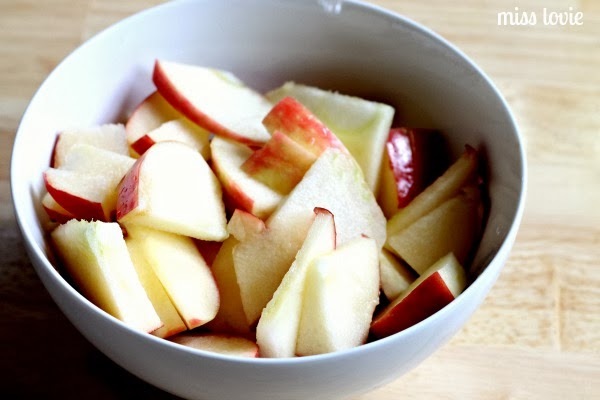 This recipe will make about 4 cups or so depending on the size of your apple and banana so you could split in in half after making it and share it with a friend or save the other half of it for the following day. When you make smoothies, be sure to chop your ingredients into small pieces and it's also a great idea to freeze your fruit espeically ahead of time. You can also freeze your greens too (everything but the liquid if you want!). Freezing your fruits will make your smoothies more frothy and frozen without adding ice. Adding ice takes away from the flavor. 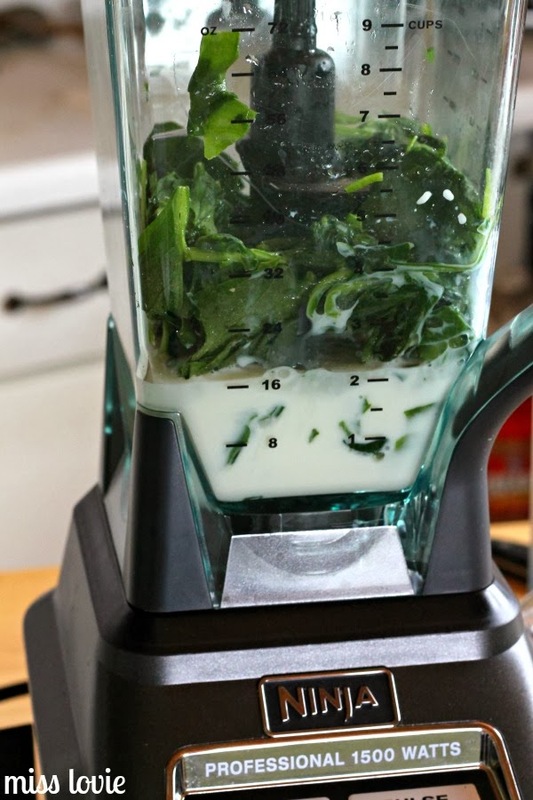 Add your greens and liquid to the blender and blend those first. 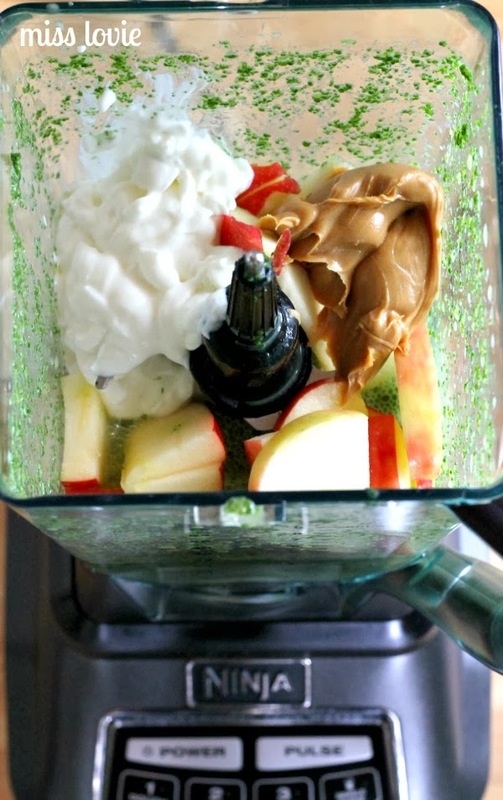 Then add the rest of the ingredients- chopped apples, chopped banana, yogurt, and peanut butter and blend again. When everything is blended and smooth, pour it into a pretty glass and enjoy! 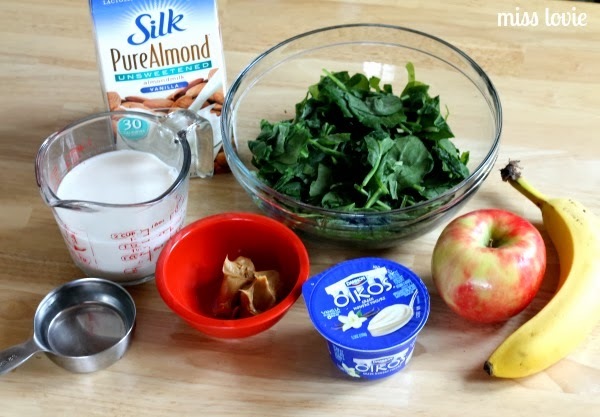 The additions of the peanut butter and Greek yogurt make this smoothie extra filling and delicious. I'd love to hear your thoughts if you try it!